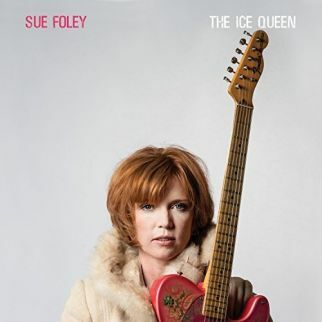 The landscape ruled is both geographical and emotional for The Ice Queen, the latest release from Canadian Blues guitarist, Sue Foley. Taking on the role in the title track, Sue Foley is ‘cool and detached’ as “The Ice Queen”, pointing out the Great White North earth beneath her feet ‘stays frozen for more than half the year’. 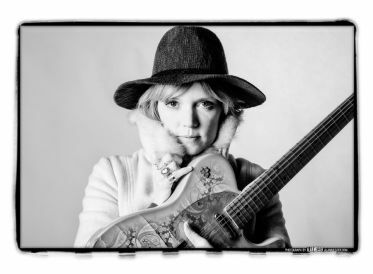 Though she wears a tough shell in her words, Sue Foley’s guitar work comes from hot-blooded fingers pulling heart and soul from the strings. The Ice Queen strips down to a three-piece for two tracks, Sue’s guitar backed by bass and drums as she gazes into a misty melody memory in “Death of a Dream” and lays down a rock’n’roll backbeat for “Run” to rip a hole in the night. South of the border for Sue Foley while in Ottawa, Canada was Texas. The singer/songwriter returned to Austin, recording The Ice Queen at The Firestation in San Marcos, Texas, and is joined on the album with three Texas Bluesmen. Billy F. Gibbons (solo, ZZ Top) helps Sue Foley mine “Fool’s Gold” with a steady Blues groove, Jimmie Vaughan (solo, The Fabulous Thunderbirds) helps count musical blessings in “The Lucky Ones”, and Charlie Sexton opens the album door with Sue on first cut “Come to Me”. Sue Foley borrows a Bessie Smith Blues hit from 1927 with “Send Me to the ‘Lectric Chair” and slinks across horn-fueled shakey love ground on “Gaslight” as The Ice Queen exits the album with solo guitar and vocal work creating the calypso rhythm for “The Dance” and finger-picking to guide A.P. Carter’s “Cannonball Blues” down the rail lines.